Time flies like a tornado tail whip! 2014 is flyin’ and it’s great to have some new work on display back east. The next painting in the Tornado Series was born in an excellent workshop this summer with abstract painter, Matt Rhoades of Sacramento. Got a solid base on this piece and then worked it up with several layers of acrylic clear coats to add depth in the studio. 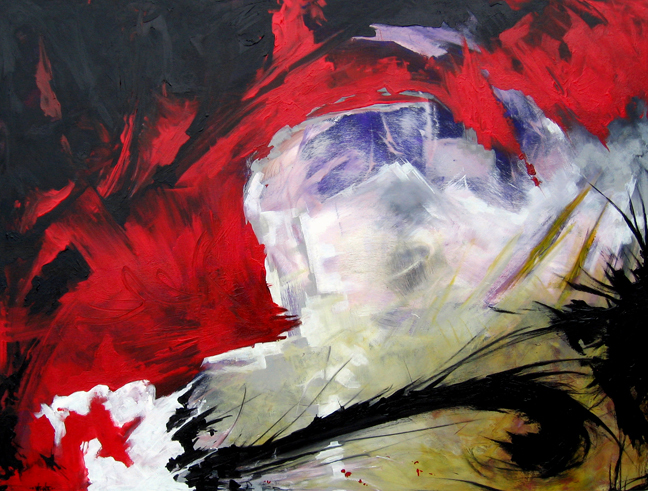 On display as part of REUNION II – Alumni Invitational at the McDonough Museum of Art from September 13th to November 7th, 2014. This entry was posted in Exhibitions, Painting, Tornado and tagged McDonough Museum of Art, Painting, Tornado Series. Bookmark the permalink. 1 Response to Time flies like a tornado tail whip!